We probably shouldn't be associating this Tuesday's Earth Day with traditional animation. Think about it. How many trees died to provide doodling paper? How many painted celluloid sheets were discarded and burned after use? How many factories churned out millions of pencils at the expense of forests and ozone? What a depressing start to this post! Okay, we're not going to celebrate Earth Day in a traditional sense. 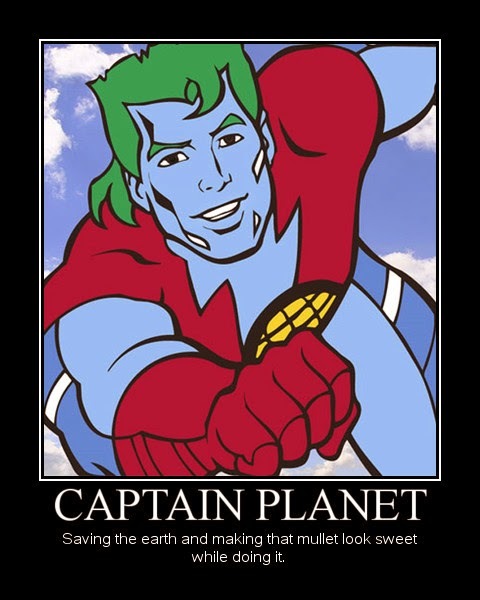 There will be no 'Best Of' Captain Planet and The Planeteers in the foreseeable future. Instead, let's take a look at reused and recycled animation from the past few years. Animation studios didn't reuse animation because it was good for the environment. They did it because it saved money, and could potentially be accessed during a time crunch. The depression era was an obvious time where penny-pinching was a necessity. 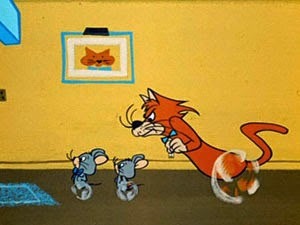 Hundreds of 1930's and 1940's Warner Bros. cartoons made frequent reuse of key scenes. Take a look at 1931's 'Lady, Play Your Mandolin' - then check out some portions of the cartoons to follow. 1931's 'You Don't Know What You're Doin' turns the scared drunken horse from Mandolin, into a scared drunken dog at the 6:11 mark. You may recognize a familiar horse ride at the :58 mark in 1931's 'Bosko's Fox Hunt'. 'Goopy Geer' from 1932 reuses that same scared drunken horse (6:37), along with lots of other similar scenes and a few recycled (but redrawn) gags. Sometimes the cartoons were "remakes", but still reused a lot of the same footage. Check out this side-by-side comparison between 1938's 'Porky In Wackyland' (directed by Robert Clampett) as it compares to 1949's colourized 'Dough For The Do-Do' (directed by Friz Freleng). Sometimes the cartoons were just "clip shows", comprised of previously released cartoon segments surrounded by new connecting filler. Warner Bros. did a lot of these in the 1960's when the studio (like all studios) started shutting down their theatrical animation units, which they couldn't afford to run anymore. 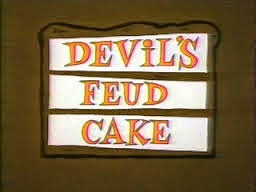 In 1963's 'Devil's Feud Cake', you can see the change in animation quality from the 1940's footage to the 1950's and 60's stuff. Three cartoons were plundered to make this "new" short - 1952's 'Hare Lift', 1955's 'Roman Legion Hare' and 1955's 'Sahara Hare'. 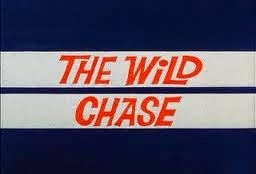 Here's another weird example of Warner Bros. frugality of the time - 1965's 'The Wild Chase', which pairs up the Road Runner and Speedy Gonzales in an awkwardly conceived cross-country race, pulling in old footage and reanimating select scenes in a desperate attempt to fill 6 minutes. Warner Bros. would revisit and effectively profit from this technique with their TV specials and feature films throughout the 1970's and 80's, which also rehashed vintage era Looney Tunes. If you're interested in learning more about this on a VERY detailed level, this will probably cover it. William Hanna and Joseph Barbera were revolutionaries (for good and bad) when it came to cost-cutting, as they streamlined a bare-minimum style of animation for their Saturday morning TV programs. Backgrounds would sometimes repeat dozens of times over as characters chased each other. 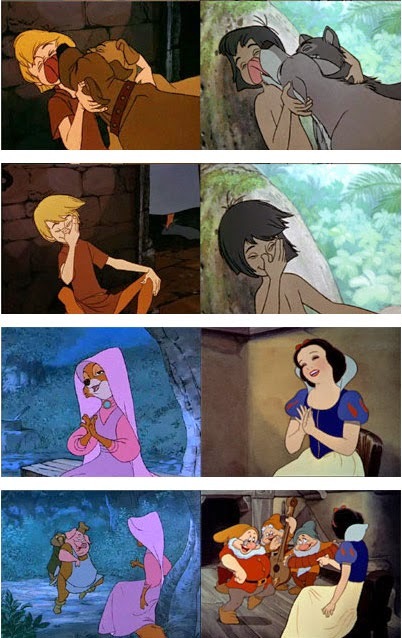 Disney animators, though more respected in their craft, were just as guilty for reusing work as anyone else. But I think because of their pedigree, it wasn't noticed as much. Many of their feature films between the 1930's and 1980's re-work key sequences. Watch the below and see if you can keep track as to how many references there are! A couple of scenes meant to be homages are mistakenly included, but these clips seem to contain the most genuine footage in the shortest period of time. 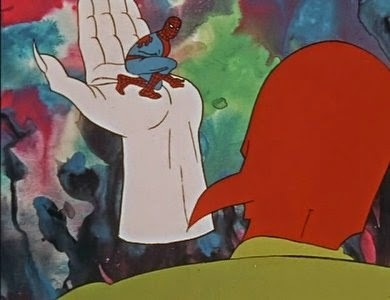 And then there's the most recycled cartoon product ever conceived - 1967's Spider-Man by Grantray-Lawrence, and then later Ralph Bakshi's Spider-Man by Krantz Films. 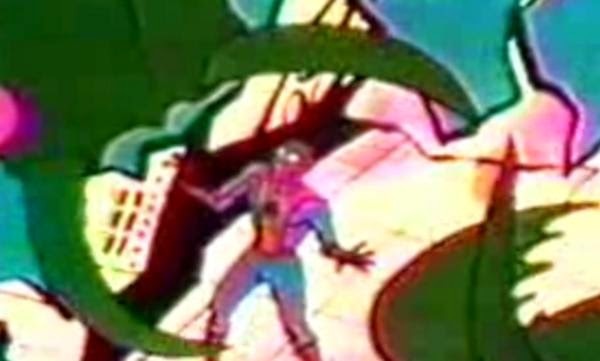 The TV show started with many recycled stock shots of Spidey swinging through the city. 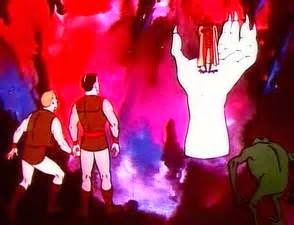 But by the time Bakshi took over with a dramatically reduced budget (slashed from an already dramatically reduced budget), suddenly entire episodes were being reused, which you may remember me blathering about last year. 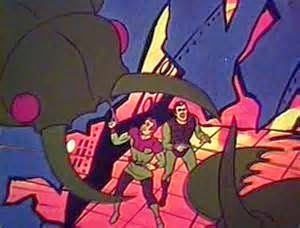 And if that wasn't cost-effective enough, Krantz also took entire episodes of another one of their series, Rocket Robin Hood, and turned them into episodes of Spider-Man, with barely any differences whatsoever! Rocket Robin Hood's 'From Menace To Menace' was turned into Spider-Man's 'Phantom From The Depths Of Time', and Rocket Robin Hood's 'Dementia Five' is now more widely known as a cult classic episode of Spider-Man called 'Revolt In The Fifth Dimension'. I mean, didn't it seem weird when you were a kid that this masked teenager was suddenly able to travel through time and space on a rocket ship? 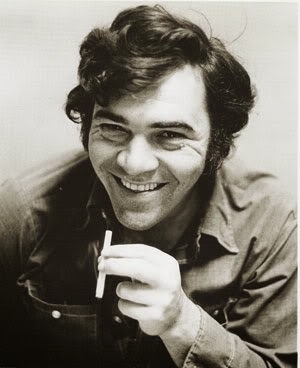 Whollopin' websnappers, were we ever gullible! And if that wasn't enough of an insult, also consider they had the audacity to include a CLIP SHOW! THE WHOLE SERIES WAS BASICALLY A CLIP SHOW!!! But at the end of Spidey's third season (the last episode of the original series), they actually did an episode with flashbacks to previous episodes.